A big data advanced analytics, workflow and reporting cloud service that delivers threat aware data protection. 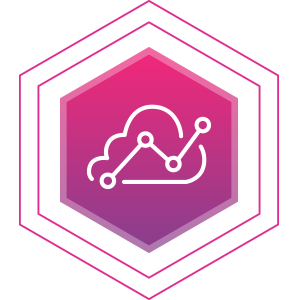 DG Analytics and Reporting Cloud (ARC) leverages streaming data from Digital Guardian endpoint agents and network sensors to provide the deepest visibility into system, user and data events. That visibility powers security analyst-approved dashboards and workspaces to enable data loss prevention and endpoint detection and response - all within the same console. Digital Guardian ARC monitors the most comprehensive set of events about your systems, users and data, and quickly filters through potential anomalies. It only triggers alarms for the high fidelity events that warrant additional investigation by InfoSec and/or SOC Analysts. Our experienced threat hunters and information security analysts developed workspaces to guide security professionals to the events that matter when identifying anomalous and suspicious insider and outsider activity. Analysts can easily drill down to follow an investigation and determine next steps or create custom dashboards, reports and workspaces. Analysts can simply drag and drop to create new incidents, add events or alarms. It’s easy to add comments and artifacts. A timeline automatically builds out as they investigate an incident and work towards remediation. Analysts can blacklist processes across the enterprise from virtually any screen for real time remediation of threats identified during incident response or threat hunting. Remediation options include blacklist, scan, warn on launch, send to VirusTotal and more. This unified solution - with one console and one agent for both data loss prevention and endpoint detection and response – delivers the product consolidation CISOs demand. DG ARC puts your most sensitive information assets at the center of all data protection, activity monitoring, and endpoint detection and response activities. DG ARC’s centralized reporting in the cloud removes storage limitations on the endpoint agent and gives you the ability to aggregate, analyze and query system, user and data-related events across the network and endpoints over longer periods of time. You get big data security without investing in a big data infrastructure. Only DG ARC packages over 150 man-years of “human-powered” data defense techniques and threat hunting best practices into preconfigured, behavior-based rules available out of the box. These rules can detect lateral movement and elevated privileges to reveal an attack before it can do any damage.